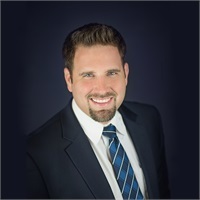 Through the development of genuine, personal relationships with his clients, Ben strives to assist and simplify their financial affairs to give them the freedom to focus their attention on the things that they enjoy most. Ben holds two designations from the College for Financial Planning. The Chartered Retirement Planning Counselor (CRPC®) designation has equipped him to assist his clients in planning for one of life’s most important transitions. Ben guides his clients by taking a holistic approach to their retirement needs and assists them with their investments, insurance, income, Medicare, long-term care, and estate plans. Ben also has his Accredited Asset Management Specialist (AAMS®) designation where he seeks to maximize his client’s assets by assessing their risk tolerance, time horizon, financial needs and goals. Ben is blessed to be married to his beautiful wife, Tonya, since 2003. They have three awesome children together who keep their lives fun and exciting. Ben also serves as an elder in his church and on the development committee at Northumberland Christian School. Ben enjoys traveling and most outdoor activities including hunting, fishing, kayaking and frequenting the family cabin in Northern PA.